I have lived all my life scrupulously avoiding trying to explain why people do things: I focus on what they are doing. Trying to figure out what people are actually doing is difficult enough for me. Simple person that I am, if it quacks, waddles, has a flat beak and looks like a duck, I accept that it’s a duck and proceed accordingly. I know people who would analyze whether the duck is an ugly swan, or whether it wants to make you think it’s a duck but isn’t, or whether it’s a duck who’s struggling to get its inner sheep to come out to play. While pondering these scenarios might be interesting, for the greater part they are a huge waste of time: you still have a duck. Beyond a certain point, I stop looking into motivation, psychology or idiosyncrasies and simply try to accept what is there as best I can. Needless to say, mine is a very simplistic approach, as you surely noticed from this post last year. Having said this, at times I succumb to the temptation of trying to explain why some people do some things. Recently I’ve been thinking about the issue of control. At that time a woman friend (an old friend from pre-blogging days) had been watching the movie and we conversed about whether Shakespeare shortchanges men (“Men were deceivers ever… The fraud of men was ever so”), and whether Shakespeare offers valuable advice. We both agreed that the advice is priceless, and worth living by. She wished she had learned of it earlier. But we agreed for different reasons: she agreed because she has been treated badly by the men in her life, who indeed were deceivers ever. I have lived a much more protected life and my experience has been much better, and as I am an optimist and have been very independent from a very early age (I graduated high school at age sixteen by completing all the requisite courses because I didn’t like my all-girls’ school), I’m all for being blithe and bonny and letting go of sighs and woes, and avoiding hanging one’s life on someone else’s whims and wishes. My friend, whose second husband had just left her, also talked about The Rules. The Rules essentially says that women should live the best lives they can and let men chase them. Sounds good to me. I’ve been married for decades so I wouldn’t know whether The Rules work in today’s convoluted courtship capers. The Rules has been accused of being manipulative but I would wager that the fact still remains that men still like to chase women and women still want to be chased. The problem comes up when one is trying to control the other. A lot of women want to dominate everyone around them. They are driven mostly by insecurity but also by anger, and sometimes the wish for power. Most men actively resent domineering women and can be driven to all sorts of crazy behavior out of spite. Some men want to dominate, too. While independent women like myself are not interested in domineering men, some domineering men see this as a bull sees a red cape and charge ahead. Whether it’s on a personal relationship, a professional situation, or just general everyday interaction, nothing puts me off more than a guy who’s trying to control me. It seems to me, however, that the more appealing men are those who allow women to be all they are without trying to control them, which makes the woman more willing to surrender at the right time. The least controlling the guy, the better. Why do some guys have this urge to control, then? Is it insecurity, anger, the desire for power over others, as it is in women, or is there more to it? Why do some guys seem to charge full speed ahead near independent women? So I ask you, dear readers, what is your opinion? And it’ll cost you $16,098 if you’re a Delaware resident, $27,348 if you’re from out of state. I guess that part of their “consumer mentality” should not be affected. Last August I posted about the MS-13 gang’s connection to the Newark murders of three young college students in Newark. Princeton Borough Police followed silently for more than two hours the night of Oct. 19 as three individuals allegedly cased several homes before being arrested and charged in connection with at least 10 burglaries in the borough, the township and on the campus of Princeton University. All three suspects are undocumented illegal aliens, and evidence has linked all three with the MS-13 street gang, police said, in announcing the arrests this week. Saul Eduardo Palma-Chajon, 22, whose last known address was in Princeton, and Byron Diaz, 18, of Princeton, and a 16-year-old male Princeton resident were charged with numerous counts of burglary, theft and criminal mischief as well as conspiracy to commit burglary, receiving stolen property and being armed while committing a burglary. Mr. Palma-Chajon and Mr. Diaz were also charged with employing a juvenile in a crime, and the juvenile was also charged with juvenile delinquency. Police said the series of residential burglaries over the last several weeks involved homes being entered with the use of force during the late afternoon or evening hours. Once inside, the suspects stole merchandise, including jewelry, laptop computers, cameras, iPods and credit cards. Princeton Borough Chief Anthony Federico said two burglaries in the borough occurred on Gordon Way, and two occurred on Hamilton and Vandeventer avenues, respectively. At least one of the two burglaries in the township occurred on Deer Path, and at least three more occurred on the university campus, he said. Although much of the stolen items have been recovered and claimed by the victims, a substantial amount of stolen merchandise has not yet been linked to any victim, and police are still determining how many burglaries occurred, Chief Federico said. As part of the investigation, a team of officers engaged in a burglary surveillance detail on the east end of the borough on Oct. 19, a Friday night. At 8:30 p.m., officers began to observe the group of three males acting suspiciously near Hamilton Avenue, before they entered yards on a number of properties and walked around to allegedly “case” the homes, police said. For the next two hours, the surveillance unit followed the group while they continued to enter yards in the northeast and southeast sections of town and occasionally split up, police said. Although they did not attempt to break into a house, the group was stopped by police at 10:30 p.m.
Two of the three individuals gave police fake names and identification, police said. Further investigation revealed that all three individuals possessed property that had been reported stolen from recent burglaries, police said. Subsequent residential searches in the borough yielded stolen items from at least eight different recently reported burglaries and thefts in the borough, the township and on the university campus. Borough police have notified Immigration Customs Enforcement to advise the agency of the arrests of the individuals, all of whom are from Guatemala. Charges are also pending within Princeton Township and within the Princeton University Campus. Mr. Palma-Chajon’s bail has been set at $1,000,000 cash, and Mr. Diaz’ bail has been set at $500,000 cash. The juvenile is being held at the Mercer County Youth Detention Center. Chief Federico said it was unusual that most of the stolen property was recovered. Any victim of a recent burglary or theft in the Princeton area should call the Princeton Borough Police Detective Bureau at 609-924-4141 to view the recovered property to see if it belongs to them. More posts and links here. Background: Nationwide crackdown on vicious gang nets 10 in N.J. The insane "Mother of All Tax Bills"
For those of you wondering what the details of taxing the rich to pay for Democratic spending proposals might look like, Rangel, a close ally of Hillary Clinton, has provided a tour of the abyss. If the “mother of all reforms,” as he calls his tax plan, had a name, it would be Mrs. Bates. But, unlike Norman’s mother in the Alfred Hitchcock classic “Psycho,” this lady is very much alive. The accountants’ lobby must have been knocking at Rangel’s door. This is why you will almost never, if ever, hear the Charlie Rangel/Hillary Clinton crowd, whom I am tentatively naming “Team Chillary” (in honor of what they will do to the economy if they get their way), actually say that they want to raise the highest federal bracket to 39% or so with their MOAT, and then to 44% or so if the tax system in place since 2003 otherwise goes back to where it was in 2000 (this is usually referred to as “repealing the Bush tax cuts,” but should be seen as a big tax increase over what we’ve been used to now for many years). 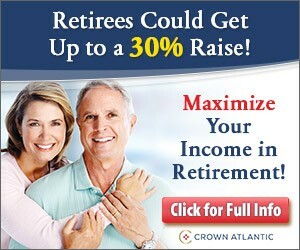 Instead they speak of tiny-sounding 4% surtaxes and the like. Welcome to the first Carnival of Latin America and the Caribbean. Today’s top Latin American news is that Argentina’s first lady, Cristina Fernandez de Kirchner, is now its president. Argentina To Elect New Evita – Or Is It Hillary? From The Heritage Foundation: Argentina: Implications for the U.S. 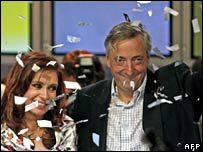 If First Lady Cristina Fernandez de Kirchner Becomes President. One thing for sure: expect more populism. The women’s civic committee of Santa Cruz, Bolivia, shows how the police have tried to repress protestors. Bolivia Confidencial posts their video here (Such is Evo’s repression) in Spanish. Anything but no, when it comes to travelling with the dog. Ortega’s Nicaragua: Another Tropical, Socialist Paradise? The Venezuelan bloggers are doing a line-by-line review of Chavez’s proposed constitutional reforms. You can read it all here: Venezuela’s Constitutional Reform. Chavez is Adored by His Subjects – NOT! The Prophetic Scent of repression. More at the Royal Navy website. If you are a Latin America or Caribbean blogger who wants your post featured in next week’s Carnival, please send me your link: faustaw “at” yahoo “dot” com. One link per blog, please. Special thanks to Lady Godiva for her kind words and support. Don’t miss also the resources at the Hispanic Center for Economic Research for more information on Latin America. “If I had something to say about Cecilia, I would not do so here,” he said before cutting off further questions. 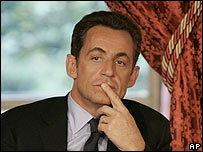 So, to all our American men, who have been cowed by the unisex armies of overbearing loud-mouthed gossips, I say it’s high time you throw off the shackles of politically-correct indulgence and join the Sarkozy revolution. You too can be real men again, and all the real women will love you for it. Catty gossip has no place in the public discourse, and simply standing your ground and saying so, in no way makes you a “Male Chauvinist Pig,” or even a borderline “sexist.” It simply makes you a self-respecting gentleman of the highest order. Meanwhile at the Times of London, Quack Michael Moore has mad view of the NHS. I expect Michael Moore will be rewarded with an Oscar and a Nobel Peace Prize for his efforts. Please read this week’s Carnival of Latin America and the Caribbean, and please visit often. While the WaPo proclaims, ‘I Don’t Think This Place Is Worth Another Soldier’s Life’ bloggers like Jim Hoft are taking the time to check and verify. Frequently their findings are contrary to those of the MSM. Then there are the independent journalists and bloggers that go to Iraq and report from the war zone. Jeff Emanuel asks, Does independent journalism from Iraq really make a difference? The bottom line is, though, we do have outlets (though none better than our own websites, which is why we try to flush traffic there at every opportunity), and we risk our lives to make the information available. It’s up to the American people to decide to use that information. As far as media competition goes, that’s a large part of what Bill Roggio and his PMI (an organization I’ve done a lot of work to help out with) are trying to do — to set up a news-reporting version of the AP, AFP, Reuters, etc. that makes its living (inasmuch as a 501(c)3 can “make a living”) filing reports from the front lines in the war on terror, through the use of embedded reporters. Is it possible? Yes. Is it sustainable? To this point, the conservatives and unaffiliateds who have been approached — some people who spend an inordinate amount of time griping about the media we (Americans) have vs. the media they want us to have — have proven unwilling to actually do anything about the problems they are so vocal about; therefore, PMI is behind the power curve as far as funding goes. If and when a conservative (or non-liberal) with actual vision to go along with his or her deep pockets steps forward and decides to back the frontline reporting project, then this, I believe, can and will become a powerhouse of journalism that more and more people will see and become affected by. Today Matt Sanchez, who’s been embedded in Iraq for four months and will be returning there after a break in Germany, will be calling for a special podcast at 1PM Eastern. We will continue the conversation we started three weeks ago when Matt called from Iraq. The call-in number is (646) 652-2639. Please join us! The Iraqi Army has collected money to aid the families whose homes burned down in California. The only book I haven’t read of these five is the Email book. I highly recommend Twyla Tharpe’s book: entertaining, insightful, and very enjoyable. A slipper with a sheepskin insole and driving shoe treads on the outside. Make sure to change into dress shoes when you get to the office! The Carnival of the Insanities is up. If that’s not enough insanity for you, read about what happened when Bill Richardson started wathing the X-Files.